Covenant is a Kodi addon based on the popular Exodus code. Covenant has sections for Movies and TV Shows and is a Fork of the once popular Genesis and Exodus addons. The developers shut down the original Repo Colossus and will not push out any new updates. A new Repo called XvBMC currently has it available with the steps below for how to install it. This REPO is taken offline cause BREIN network in holland. Covenant is not working. When I clicked install from zip file , I was not able to proceed because the file name did not come up so I could not go any further. Having the same problem. Did you figure out how to move forward? I’ve repeated the step 3 times now. My folder in “install from zip” is blank, nothing to click on and install. Can’t get the download to work. Same issue here. Did it ever work for you? 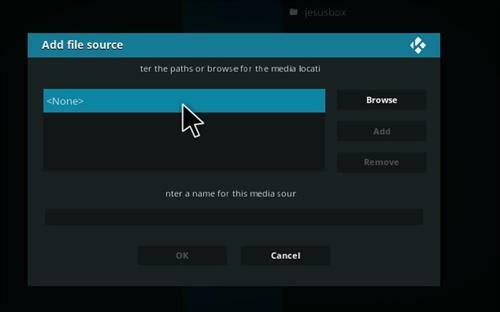 Try an alternative Kodi add-on such as Incursion or Placenta. These are both continued versions of Cocensnt, so they should feel the same but better. It works, just that a lot of the streams aren’t working. I disabled Kodi (Was working fine) to install this as I get a lot of “No streams” with a lot of the streams I use. It installed fine but when I try to watch something I still get a lot of streams that are found but attempting to use any of them usually ends up with the “No streams” message. I read recently that Covenant is shut down, or that shutdown is in progress. Not sure why the author still has it listed as “one of the best.” Used to be. Not anymore. XVBMC repo is still working and Covenant still one of the best addons to have. When trying to download convenant it keeps saying failed to install a dependency. What does that mean?? I fet the same thing. Why? Covenant just stopped working this evening. When I select TV and Networks, most of the channels no longer work. Everything was fine yesterday. . .any news? Mine is still working; I updated Kodi and then updated to install Covenant and it has been working since, which was about a month ago. I watched movies all day yesterday and today I checked to see and they are playing just fine. FYI, also Primewire (installed from TKNorris) is working for me, as well as Covenant. Why do I keep getting the message ( no streams)???? Thank you for your instructions. I installed, but do not see on Kodi. Do I need to unplug my amazon fire stick and put in again? Or is there an extra step to see it with the other add-ons (Exodus etc.). Thanks again! Links are not coming up as much as they didn’t before. This is likely due to many factors. Putlocker for instance closed for good (the last I’ve heard) and many other providers might be going the same direction. There is no telling if and when anything will get back online since the main dev who was maintaining the urlresolver has ceased and desisted after receiving a legal warning from the big entertainment corps. Maybe they will all stop feeding their own greed and their armies of lawyers and finally come to their senses, realizing the potential revenue they are losing by acting in the narrow minded and business un-savvy manner in which they are behaving at the moment… And they even have a precedent proving that… much like the iTunes revenue loss they all incurred into when they didn’t join forces and spent time and money to create a shared iTunes they would own (now they must pay apple) rather than each pumping money into law firms’ pockets one lawsuits after another and wasting even more money with DRM development. They still can’t see the forest ahead of them because of the single tree branch in front of their eyes. Just sad. Convenant isn’t working like it should… Hardly any streams, imdb list isn’t available anymore?? Thanks for the detailed instructions!! I downloaded this version and I’m still only getting 5 link options for any tv show I’m trying to watch. Half of them are gvideo links too that don’t work anymore. Is this happening to anyone else? it has been doing the same to me for the past 2 days. The sources have disappeared for some reason and indeed this has happened on the TV Shows it does not apply for the movies section. I guess there is something going on involving the source providers. I think I will not be making any changes for a while and wait for a couple of weeks to see if something comes up or if the issue is resolved. If there is someone out there that already had this issue and found a fix please let us know!!! Same thing is happening to me although I think it’s across all add-ons. I only use Trakt for my tv and movies and was speedy gonzalozing my way through the Mission Impossible tv serious. Only have 5 episodes left for s4 and now it only shows at most 10 sources that are hopeless. Gorillavid, which was the only source I ever used, has disappeared completely. Gvideo worked for one day and has also disappeared. Noticed this all started after the url resolver has been updated. I have tried Covenant, Neptune Rising and Genesis Reborn. Also using vpn which I know is not the problem. Thank you for posting this. I thought it was just me and was getting super frustrated. Same here. Not much talk other than this thread that i can find ! I’m having the same problems with TV series; only 5 links & getting “no stream available” when trying to connect. I’m using IPvanish… anybody got any ideas?? Hi there I am having the smae problem and I could really use some help here.. Do you have any ideas for me? Working a treat being it on? I cant stream in HD? I never shouldve deleted it. I checked every repo that was hiding it. Now its gone. Everytime you guys post the links they get shutdown. You need RealDebrid or Premuimize accounts, paid accounts to get the streams to work. Even now they only have a few. Blame Trump for scrapping net neutrality, blame MPAA for threatening the addon developers, and blame google for the 900 websites that were hosting the streams for your movies on covenant. Donate to tvaddons.co so the addons will come back. Write to your senators about net neutrality and the Mpaa. Thanks jsergio tknorris and the rest of you. Hey, I just wanted to let you know it isnt gone already. I just got an amazon firestick on cyber monday and it just came in today (11/29/2017) and I followed this guide and things are streaming fine. I didn’t have any issues finding a repo that worked, the one listed was fine. a lot of movie i can’t play, dunno why.. I have Covenant installed already from Ares wizard. Do I have to uninstall it before downloading this version? It didnt work for me . The zip file does not exist. Path not found or invalid. I’m having the same problem. Did you find a fix for it yet? Just downloaded it and works fine. Thank you!!! I’ve tried about seven different ones and this is the only one that worked for me. You’re awesome!!!!! I followed the instructions all the way up to #18 where you go in covenant. There’s no install option. Only uninstall. Did it install by automatically? Am I missing something? Same situation with me… what did you do? I totally uninstalled covenant, and reinstalled it. Not working great, but it is working. Wow, ty sooo much!!! I’ve been trying to get the latest since exodus went down and have been w/o my dragonbox for over a month! I’ve been trying to Google fixes with No luck until now. Thanks again, is there somewhere in can follow ur site for updates? ? (I.e url, email, fb,ect…)? I tried this and at first it appears to work but when I finally get to the point of launching it just stops and will not launch. I’m guessing this version is dead as well. Reboot the kodi app, it should work then. I can’t get any sound working! Pls help me?! I didn’t get pass step 13. I did not get step 14. Have installed both Poseidon and Covenant. In both cases the TV downloads work fine but the Movie function does not bring in any titles. In Movies I get the options about Genre , year etc but when I click on any of them I get a blank return. I’d guess there is a setting I need to change?? I’m going to install from zip file, but there’s nothing in there?? Followed steps as per instruction and no luck, please advise? It worked fine for me on November 19. I disabled the auto-update immediately after install. Thanks a million. How do I disable my auto update? Hello, where do you disable the auto updates? In the main screen choose “My add ons” in categories at the top of the screen. Select Video add-ons. Select Covenant. There will be an auto update toggle bottom center screen. Thank you so much. Works great!! Do not do this. Covenant will be disabled when it updates as it is marked as broken in the repo. Wait until there is a proper repo. An archive,org source anyway, really? Some of us are just trying to hang in there until a work around option is a option. Even one day makes a difference. Appreciate your heads up tho. When I get to the install from zip file, I select the add-on but it’s empty. What do I do?? Same thing happened to me…I tried downloading the file again and this time the ,zip file was there. Maybe we both typed the file name wrong the first time? Did you get a reply as happened to me too? Not that I have installed Covenant how do you get it to switch from using Exodus to Covenant? Thanks, works really good ! Got to where Colossus Repisitory add on it has version 00.000.0 home of 3rd part addon. Highlighted install and configure button but will not install Please Help! I tried it today – I can’t install video add-on covenant – it says install failed – a dependency is missing. Any help please ?? stuck on install colossus, clicking on install and its not doing anything!? Thanks for the great instructions. Works great. I’ve installed smash repo but can only access covenant any tips ? great post man. @robert. try taking the manual route. get the zip file and then install through the zip under kodi. I tried the manual route from Github. It didn’t work for me, I was getting the “dependencies not found”. I also tried maybe a half dozen other ways on the ‘net that failed also. This is the only one that worked for me. It took awhile for all of the repo stuff to load. Just be patient. Your mileage may vary. Brand new android box running 6.0, fresh install of kodi (tried uninstall and reinstall as well) and nothing covenant related is working. Tried to install it this way but can’t even add the source, tried using another source http:// mediarepos.net/tco/ but that fails when trying to install from zip (no matter which repo you pick) and downloading and trying to install it directly from github also fails. Anyone have any clue what’s going on? Smash Repo was already in my files but when I go to Install from zip file it says smashrepo(Solomon is a scam do not help) zip should I install this? I’m a little nervous to do so. Thanks for any advice/help! I saw that also. I installed it yesterday on a different set that wasn’ t there. Thought it was odd. Went ahead with the install today on another set. Seems fine. No idea what that’s all about though. And who is Solomon anyway? Anybody know? Soloman has a YouTube channel about Kodi. I followed directions and once I select install from zip file Smash Repo all I have are smashrepo.zip and smashwizard(apk2-builds-addons-andmore).zip but repocolossus.zip is not there…Did this last night in a seperate room on a different android box and it worked fine. Yep, it’s missing. I saw it yesterday. Hey can anybody help!!!! After entering media source, step 7, i am getting the following msg: unable to connect. Couldn’t retrieve directory info. This could be due to the network not being connected. Same problem as you guys. Did u get it fixed? I have followed the instructions and I am able to see tv series but movies have “no information available” how can delete all this and starall over? Where to begin???? Step 7 when I click ok it shows me no network connection.What does that mean? Does step 15 usually take a really long time? HELP! Every time I try to add one it says “Couldn’t retrieve directory information. This could be due to the network not being connected. Would you like to add it anyway?” Anyone know what that means? I followed the instructions and put all information in exactly as specified and it worked. Thanks. Hi. I followed step by step . Changed contents at last two steps and at 20th it was good bit different. It showed exodus instead of covenant. Video add-ons is empty. ,, You do not have any add-ons of this type installed,,. It’s ver 17.3. any help. Thanks so much! This was easy to follow & worked. I downloaded it and I tried to search up Rocky on movies and it takes forever to load and nothing comes up any help??? It won’t work for me, it said ” unmet dependencies”. I don’t know what else to do. I downloaded this the other day and it worked fine. I am trying to download this same thing on a friend’s and I can’t find Covenant. Yours is the best tutorial I’ve seen. I especially appreciate how you presented the material in a step by step TEXT format in addition to the video. If I had to learn the FreeBSD and Linux systems using only videos, I’d still be trying to install to a machine. Step 18 freezes my screen after clicking install, no spin wheel or nothing, all it will let me do is click home. Any help? Thank you so much for this. Installed in my samsung A7. Works like a charm! Downloaded everything now when I go into click on movies it doesn’t show any help?? Loads ok but doesn’t populate. Any ideas? I have installed this on mine and 2 family member’s seems to work great I had a issue at first because I didn’t put the URL In accurate so just word of advice make sure you do it exactly how it is. Installed it with no issues through Aries. Had to come out of kodi 17.3 and back in for addon to load fully and do a manual update the first run. Great addon, loads of HD links in the UK and everything streams like a dream. Only issue I’ve found, is even when you’ve ticked the box “enable downloads” and set up a path, this feature isn’t working for some reason. Installed through Ares because the repo doesn’t work. Already a sign. Installed and a blank screen. Not impressed. Having the same issue, cannot make it to step 13. I found it on ares wizard add ons section. Good luck! unable to connect to directory would you like to add it anyway is the only message i get. tried to add it anyway but then nothing happens when trying to install from there. same problem here anybody else has suggestion?